When I heard that I needed to travel to Tampa Bay alone, it wasn’t flying across the Atlantic by myself that worried me. It was how I’d manage to get around downtown Tampa without a car, and whether I’d find enough things to do in my downtime. Everybody knows that America is a car country. We’d always needed a rental car on family holidays to Orlando and Daytona Beach. Surely Tampa – also in Florida - would be no different? Especially its downtown business area, where I needed to visit? And there was no way I’d be driving a rental car. Throughout the entire 2,448 miles of our Route 66 road trip, I’d only driven for seven miles and hated every one of them. That was on an empty road, with my husband, Dave, by my side. Tampa is a busy city. I would not be tackling that on my own in a car, thank you very much. So, did I find enough things to do in Tampa? Did I manage to navigate downtown without a car? You bet. Let me show you how in my 'car-less guide to downtown Tampa: things to do without a rental car’. After a shorter than expected customs queue, I took a taxi from Tampa International Airport straight to my hotel, The Westin Tampa Waterside. I later discovered Blue One Transportation, which picks-up from a number of downtown hotels, so used their shuttle service for my return journey. You can also book via their website. If you’re travelling in a group, you might find it cheaper take SuperShuttle (walk-ins and advance booking available) or you could get an Uber if you have the app. Despite initial fears that I might be confined to my hotel room, I found that the city of Tampa has a surprising number of transport options available to those who don’t have a car. I took the TECO Line Streetcar System from Franklin and Whiting Street, near the Hilton Tampa Downtown, to Ybor City (more on that in another post) on a $5* day ticket (single trips are available for $2.50). The trams run through the Channel District, giving you access to the Florida Aquarium and the Tampa Bay History Center, and are replicas of the historic vehicles that used to ferry families and workers along the line between the 1890s and 1940s. Streetcars run every 20 minutes between noon and 10pm Monday to Thursday, 11am to 1.30am on Friday and Saturday, and noon to 8pm on Sunday. HART also runs a bus network and The Downtowner offers free, on demand, point-to-point car rides through its app. The cars are available seven days a week throughout the business district, Channel District, River Arts District, the University of Tampa area and the north end of Harbour Island. Alternatively, you can take a water taxi along up to 15 stops on the Hillsborough River and Tampa Riverwalk. Other than using the TECO, I walked around downtown using a map I was given at my hotel and didn’t have any problems. Although many of Tampa Bay’s attractions (including Bush Gardens) are located outside of the downtown area, I still found lots of things to do in Tampa that I didn’t need a car to access. Featuring 7,000 animals and plants, The Florida Aquarium is regularly hailed as a must-see attraction in Tampa Bay. At just a 10 to 15 minute walk from The Westin Tampa Waterside, it’s also easily accessible without a car. I loved the wetlands exhibit, where mangroves hang over the walkways and birds fly freely, but the Madagascar section, complete with lemurs, seemed out of place. Children (and big kids like me) will love the 4D film showing (Happy Feet during my visit) and the very Disney-like Secret Sea Life Superhero game show. I was also very impressed to find that the aquarium grows its own coral, which you can see being made in tanks outside. My $45.95 Florida Aquarium ‘combination ticket’ (online price) also included a dolphin cruise along the Hillsborough River. As with any wild animal experience, you’re not guaranteed to see any wildlife on this trip. Thus I was delighted when three dolphins finally came up for air just 10 minutes before our boat was due to dock. I also saw some gorgeous murals of turtles and manatees (both animals are native to the area) painted onto a Citgo Oil storage tank and spotted the TECO electric station in the distance; manatees go to bathe in the hot water the station pumps out (you need a car to visit). The cruise featured an informative tour guide, who pointed out a number of osprey nest sites and a dog beach; the City of Tampa bans pooches from its other beaches to ensure turtles can safely bury their eggs in the sand. I wasn’t originally planning to visit the Tampa Bay History Center because I, stupidly, thought it might be boring. However, as it was only a five minute walk from the aquarium, I decided to stop by. I’m really glad I did. The museum presents Tampa Bay’s past across three floors, providing me with useful historical context in which to view some of the city’s iconic landmarks later in my trip. The Coacoochee's Story Theater, with its moving sculptures, film and sound effects, gives a balanced account of the Seminole War by staging a dialogue between Coacachee, the Indian chief, and solider Lieutenant Sprague. Beyond this, the replica cigar shop and audio clips about life in Tampa’s Ybor City, formerly the cigar capital of the world, are entertaining; they also provided useful insight for when I visited the district myself. I’d recommend checking out the museum’s well-stocked gift shop too, next to the Columbia Cafe, which makes the entrance hall smell amazing, with its scent of Spanish/Columbian cuisine. The cafe is definitely a place to stop if you’re not planning on eating at its sister site, the oldest restaurant in Florida, in Ybor City. This original Paramount Pictures movie palace is without a doubt the most beautiful theatre I have ever seen. You can still catch a classic film here on weekends, but I was lucky enough to be in town for the theatre’s Balcony to Backstage Tour, which only runs on select days each month for $10 (check the website for details). The 1926 building is one of the best examples of just a handful of atmospheric theatres still left in the world. Its elaborate architectural style was coined by John Eberson to rival the grand operatic theatres of the time at a fraction of the cost (movie tickets cost a lot less than going to the opera). The ceilings are painted blue and feature small twinkling lights to echo the night sky, with the rest of the theatre crafted to look like you’re sitting outside. I wondered how it was possible that such a gorgeous building could be a result of cost-cutting; its beams appear beautifully carved in mahogany and detailed paint work adorn its walls. But the tour guide came clean – everything other than the wall and floor tiles is moulded from plaster! The 90 minute tour also features tales of Foster ‘Fink’ Finley, a projectionist who is believed to have haunted the establishment since 1965. Before you depart, you have the option to walk the narrow corridor backstage and see the two dressing rooms used by the performers who played in between film screenings. You’ll then be treated to a demonstration of the old pipe organ, which added sound to the silent movies of the 1920s. The Henry B Plan Museum is another marvel of Tampa architecture that you can easily walk to – and you must not miss it. It’s located in the University of Tampa, formerly the historic Tampa Bay Hotel opened by Henry B Plant in 1891 to encourage Americans to holiday on his railroad. The hall’s opulent, silver Moorish Revival spires are beautiful to behold - you can see why the building has been recognised as a National Historic Landmark. I bought a $7 student ticket (adults $10) to gain entry to the museum, but easily preferred the architecture to the artefacts on show, which are all original to the hotel. However, the displays do give useful historical context and I enjoyed seeing what the rooms would have looked like back in their heyday. Not having a car is also a great excuse to take a walk around downtown Tampa and see some of the city’s historic landmarks. The Riverwalk combines stunning views of the waterfront with a collection of street art, from inspirational quotes embossed into the walkway and statues of Tampa historical figures, to retro posters and murals. The 1926 Floridan Palace Hotel (905 N. Florida Ave) is on the National Register of Historic Places and is well worth a look, especially to grab a selfie with its iconic roof sign (I just about managed to fit it in the frame of my phone). It was once the tallest building in Tampa, but is now dwarfed by the city’s skyscrapers. Just down the road at 315 E Kennedy Blvd, the Old City Hall is also on the historic register. And don’t miss the Historic Central Avenue mural at 1001 N. Jefferson Street. So hopefully now you can see that there are plenty of things to do in Tampa Bay without a rental car and that getting around Tampa without a car isn’t actually all that difficult. 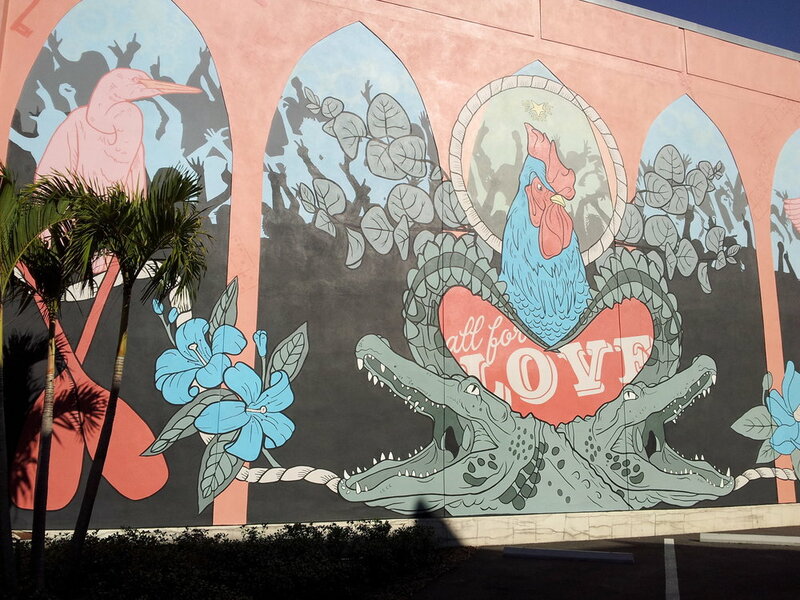 In my next post, I’ll share my must-sees in Ybor City. Watch this space. *All prices were correct at time of writing - check before you travel in case they have changed. 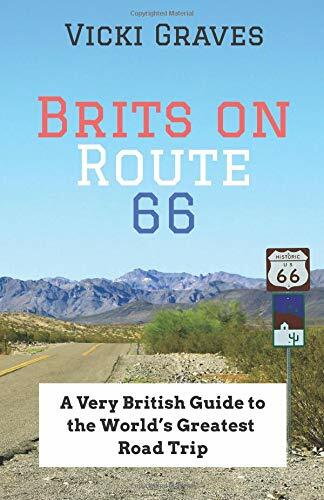 Author of Brits on Route 66: A Very British Guide to the World’s Greatest Road Trip and blogger at www.britsonroute66.co.uk - American-themed travel and lifestyle blog with a British twist, helping more folks from across the world drive the journey of a lifetime down the Will Rogers Highway.